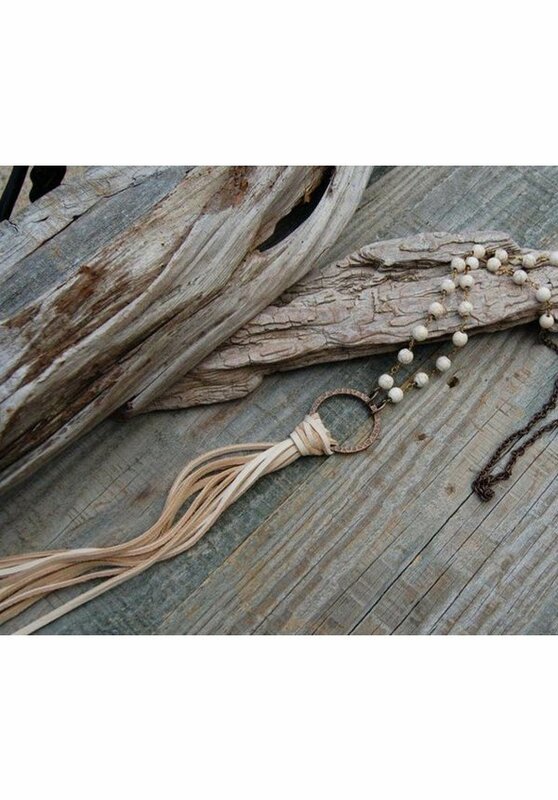 Antiqued hammered Bronze ring with a natural Leather tassel on a combination of Magnesite & antiqued Bronze chain. 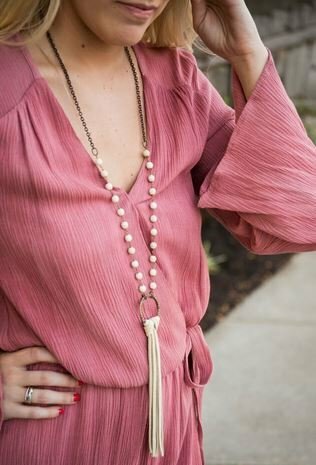 The necklace is approximately 33 inches long plus the ring and tassel add another 8 1/2 inches. 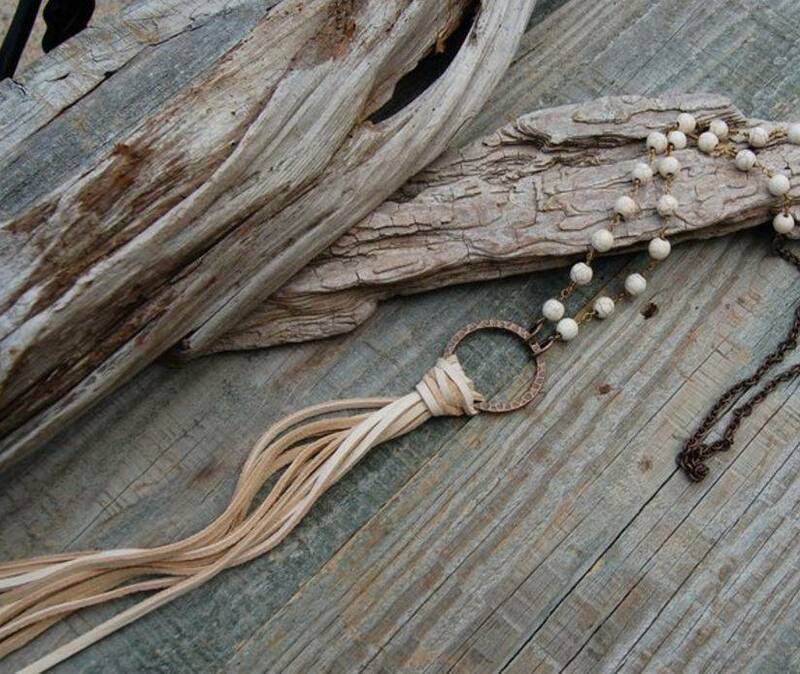 Beautiful and unique this handcrafted necklace is unlike any other.